Summer is now in full swing and I hope you are all enjoying your holidays, I know I am! After the response we had last week from our friday freebie I have bought you another digital vintage paper collection from your summer crafting projects. 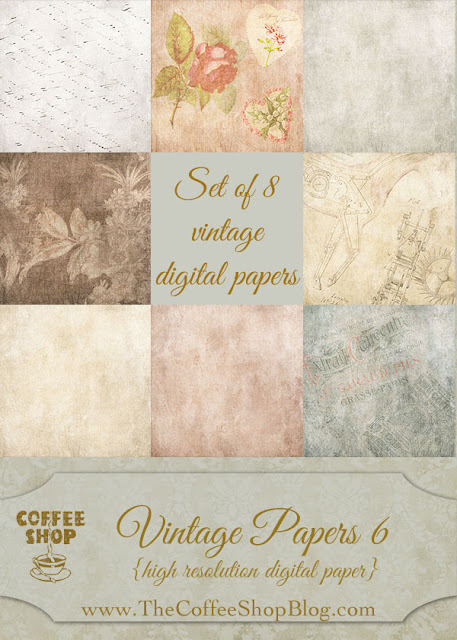 This Vintage Paper Collection has been beautifully designed for you by Rita over at The Coffee Shop blog.